What is it about your company that inspires confidence with your clients? Wesley Mills: We have been building in Montana for almost a quarter of a century. 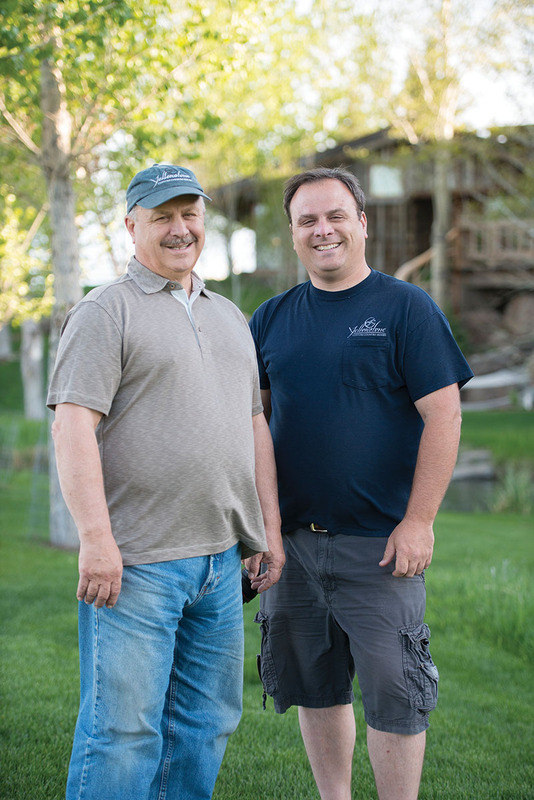 We have a family business that pursues a “hands-on” approach to every project. We emphasize good communication and craftsmanship. No residential project is too big or too complicated for our building company, but we limit the number of projects we do each year in order to be able to continue to give our undivided attention to each home we build. Brad Neu: My business partner, Jim, and I have been working together since 1981 so I would say experience is high on the list. Through the years we have hired an exceptional team of around 20 employees that have a passion for providing first rate customer service and top quality craftsmanship. Many of our employees have been a part of our team for 15 to 35 years. Our clients are typically looking for a one-of-a-kind home so our custom design services are very popular and much appreciated by our clients. Name 5 critical elements in your building process that you feel guarantee customer satisfaction. Brad: 1) Communication. We strive very hard to get to know each client and learn what is important to them. 2) Honesty. We are always open and honest with our clients. People do not like surprises when it comes to construction so we do our very best to avoid the need for change orders. 3) Quality. Every employee understands that the high quality of both materials and craftsmanship we provide is what keeps clients coming to our door and keeps them employed. All are given the authority to reject inferior materials and to start over if a process is not giving the desired results. 4) Scheduling. We strive very hard to maintain work schedules that keep us busy; but do not oversell or promise completion dates that are unattainable. 5) Flexibility. We offer a wide range of options to our clients so that they can be assured of receiving the home of their dreams. Each client’s tastes are a bit different so this flexibility is very important in the early design stages and for budgeting as well. Wesley: The important elements to establish at the start would be the client's budget and design preferences. Following that, it is important to spend time on the building site with the home owner and outline a site plan that will suit the design of the home and the budget. Tell us one real example where a negative development in the building process had a positive outcome due to your customer service. Brad: We deliver and re-assemble our log package all across North America. On this occasion we were scheduled to deliver a home to Maryland. When our crew arrived we found that the road to the site had not been built yet and the subfloor of the home was not completed. We had four truckloads of logs on route from Montana that were to begin unloading and setting the home the next day. As luck would have it one of our crew was an experienced heavy equipment operator and the other had framing experience. One of our men rented a dozer and built the driveway while the other took over an inexperienced framing crew and completed the subfloor all in one day. The re-assembly was set back by just one day and the homeowner was ecstatic at the results. Wesley: There are some parts to building that can’t be anticipated even though you try to dot the ‘I’s” and cross the “t’s” before beginning. On one occasion we ran into a problem with the bearing weight of the soil we were building the home on. We stopped the process and put our heads together with an engineer. After considering our options we recommended a course of action with fixed costs. The owner was happy with the recommendation. In the owner's minds it took a situation that was of great concern and minimized it to the point that they were no longer troubled by it. In what ways do you use new technology to enhance the customer experience? Wesley: It is sometimes difficult for the owners to visualize what the home will look like after looking at the design on blueprints. So, being able to take the design and present it in three dimensions helps them to see the home as it will be when completed. Brad: We recently updated our website, adding much more information and additional home designs that potential clients find very useful. We have also enhanced our Facebook and Pinterest presence. Our design team is utilizing 3D software for all home designs. The advancements in technology in this field have been amazing so we update regularly. This technology allows clients to walk through their homes, similar to a video game, early on in the design process and really visualize all aspects of their home and make adjustments that could easily have been missed in the old paper plan days. What is the key element in the home building process that you think best exemplifies “The Montana Way” of building homes? Brad: Well with a name like “Montana Log Homes” everything we do is the Montana way! Log home construction dates back to the earliest settlers here in Montana. 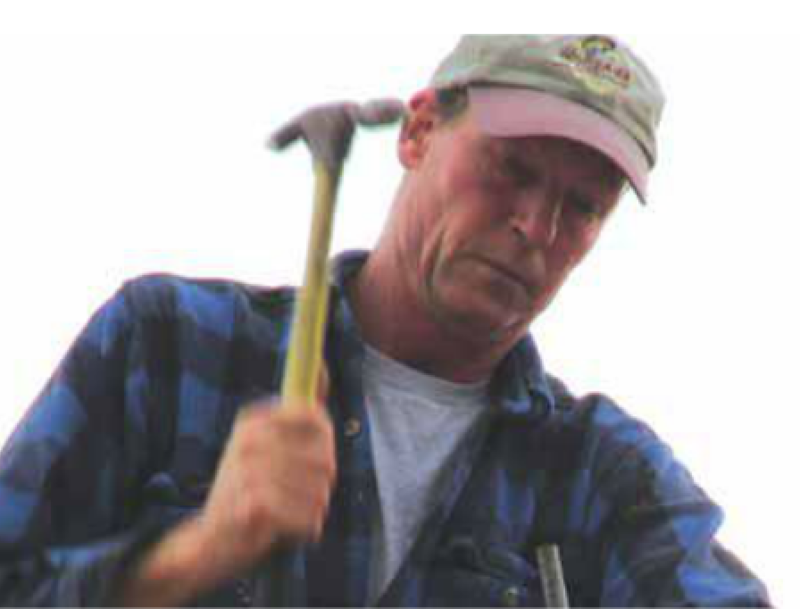 While construction tools and techniques have advanced considerably over the years, we are proud to carry on the tradition of handcrafting each home we build with old fashion tools like a hammer and chisel. homes structure. Proper drainage around the home, the depth of frost and the bearing weight of the roof are all things that a builder in Montana must take into consideration.